Imagine this: You are a farmer in one of the poorest countries. Each year, the price of your harvest falls, but you keep growing the crop because it is what your parents and grandparents farmed. Due to low prices at the auction floors, you sign a contract, even though you cannot read, with a company that loans you money for fertiliser and seed. You use some of this to pay your children’s school fees. You fall sick with headaches and dizziness. Your children stay home from school to help farm. They fall sick too. At the end of the season, the amount paid for your crop is less than the loan plus interest. The purchasing company says prices are low because people on the other side of the world are trying to shut down your business. World No Tobacco Day is May 31. While it generally focuses on the health risks of smoking, the harms the tobacco industry inflicts are even broader. It has benefited from exploiting farmers in low-income countries like Malawi, the most tobacco-dependent country in the world. In 2015, tobacco comprised 30 to 40 percent of its total exports, making up 11 percent of the country’s gross domestic product and 60 per cent of its foreign exchange earnings. While tobacco leaf is clearly an important source of foreign exchange earnings, most farmers live in poverty. A 2016 study found that Malawian tobacco farmers make an average profit of $79 per acre, substantially less than the average in the agricultural sector $351. Despite denials, company records suggest cartel-like behaviour. While prices at this year’s auction are $1.58 a kilogramme, previous years’ prices have been as low as 80 cents a kg, leaving many farmers in debt. As an alternative to the auction, tobacco companies encourage farmers to sell tobacco through contracts: Companies provide seed, fertilisers and chemicals in return for a guarantee to sell to that merchant. In 2015, 80 per cent of tobacco in Malawi was sold on contract. Farmers are reportedly not always informed of the details of their loans, such as interest rates, and are not assured a set price. There are also reports of buyers extending more credit to farmers than they pay for the crop at the end of the season, and failing to buy the agreed-upon quota. Farmers themselves accuse contract leaf buyers of operating a cartel on the auction floors to keep prices low. In February 2015, tobacco farmers petitioned the government to recall or change contract farming legislation to better protect their rights. In other words, these companies that buy its leaf— not citizens — dictate government policy. In neighbouring Zimbabwe, Human Rights Watch recently reported that companies were failing to inform farmers about the risk of nicotine poisoning. Handling tobacco leaves can cause nicotine to be absorbed into skin resulting in nausea, dizziness and headaches. Nicotine poisoning particularly affects brain development in children, and the industry has a long history of relying on child labour. 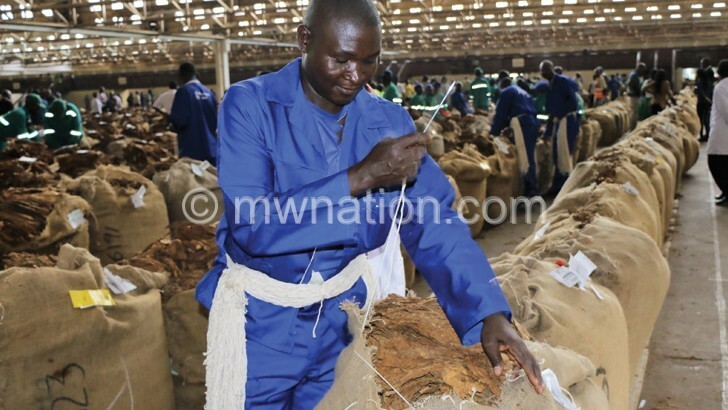 Malawi government continues to describe tobacco as the backbone of the country, frequently blaming tobacco control advocates for the struggles faced by farmers. At the opening of the 2015 tobacco market, President Peter Mutharika said he is “aware that the tobacco industry is facing a lot of challenges and key among them is the issue of the anti-smoking lobby”. In April this year, Mutharika said tobacco remains a critical crop and will remain so for the foreseeable future. 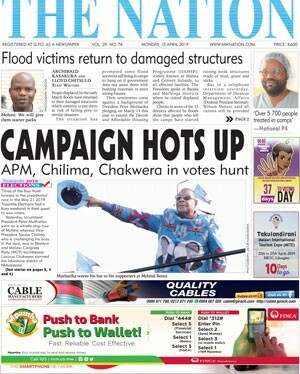 It is not surprising that many Malawian politicians support the industry. Since colonisation by the British, political leaders have benefited from tobacco. They own large farms, collect rents from the auctions and maintain close relationships with the big tobacco companies. The government is earmarked to table a new Tobacco Bill this month to revitalise the industry and better protect farmers. Considering the long history of exploitation and influence of big tobacco companies within the government, as well as declining demand for a product that is harmful on many levels, reforming the industry seems to be a case of too little, too late. The government would do better to honour its promises to diversify the agricultural sector. It is time for Malawi to quit tobacco.—The Conversation.